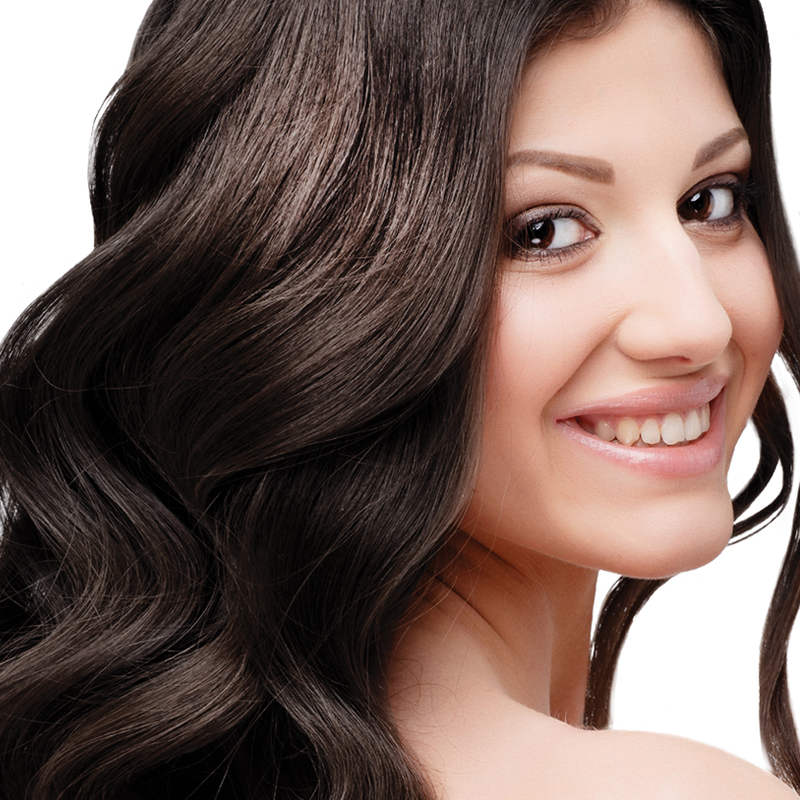 This dark brown dye gives your hair a rich, dark chocolate colour. It not only colours your hair, but also contains botanical extracts chosen to improve hair growth and scalp condition, and can help in clearing up problems such as dandruff, itchiness and hair loss. This shade is one of the best 100% Herbal dyes for covering grey. You can also experiment with mixing Herbal Dark Brown with Herbal Soft Black, a combination that works well for covering grey, especially if you can sit under a salon dryer for 1-1.5 hours for the application. 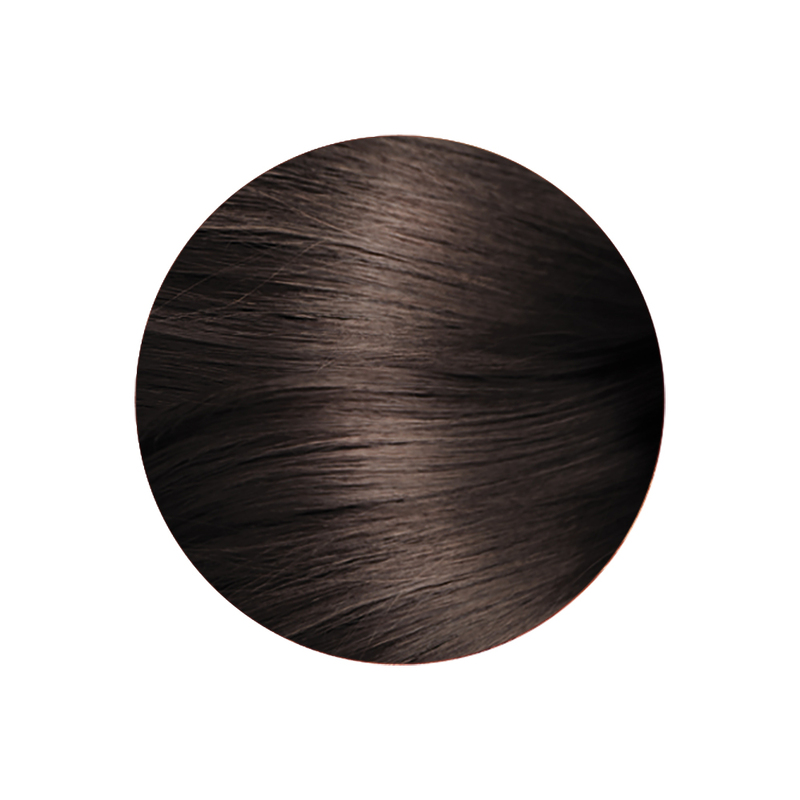 Another good blend is Herbal Dark Brown with Low Chemical Dark Brown. For more tips on covering grey see Helpful Hints. Please feel free to mix the shades to find the perfect blend for your hair. 100 grams is enough to dye collar to shoulder length hair, depending on hair thickness. You can mix up half a packet if you just want to dye your roots. See Directions for use for more information. I simply adore the 100% herbal dark brown..i can now go out in peace with out my grey hairs sticking out..im so greatful and thankful for your cruelty free product..hands up to you cathy..u a lifesaver..will never stop using your product..i have tried alot of so called chemical free dyes and it just did not work for me.i had bad scalp reactions..but your 100%herbal dark brown is 100%true ..love it.. 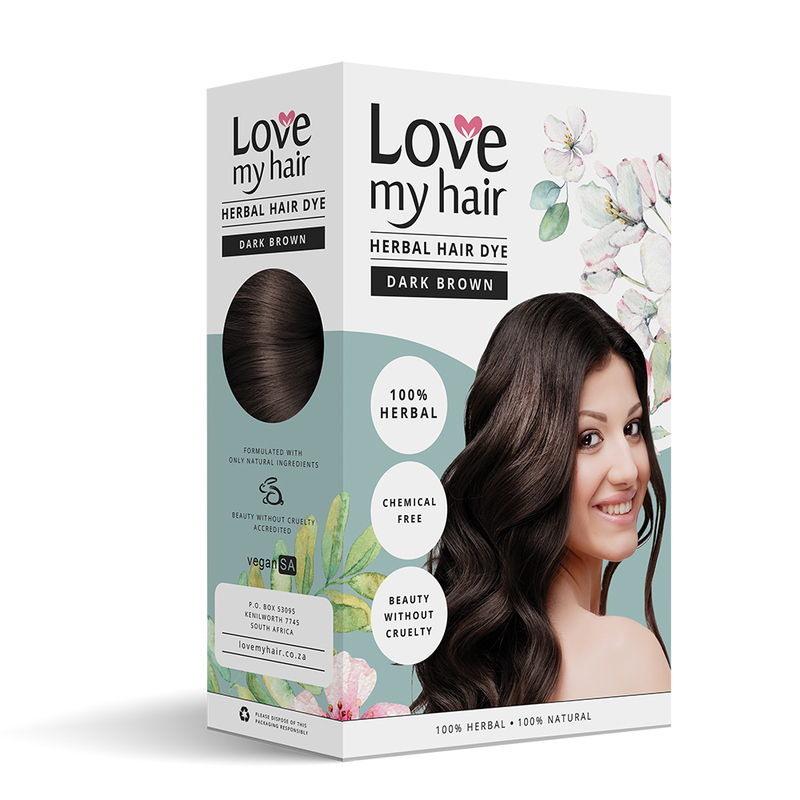 I have been using Love My Hair non-chemical 100% Herbal DARK BROWN since 2015. I cannot praise the product enough. I am now naturally completely white/grey but with repeated monthly root touchups my hair is a lustrous dark brown. It is shiny, soft and strong and never dry or brittle. I will continue to use and recommend this product because it is a purely plant-based and completely chemical-free hair colour product which has not been tested on animals, is easy to apply, comes at a reasonable price and works absolutely fantastically on my white/grey hair. And I am often complimented on it!